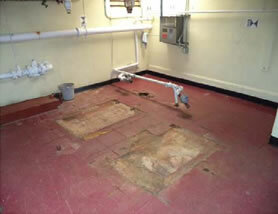 Capers Services demoed the existing roof and replaced it with a new steel roof with down spouts. 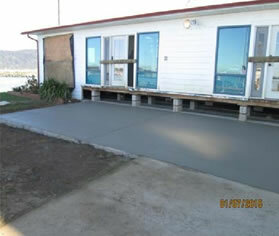 Also demoed existing rear wood deck and installed a new concrete slab. Repaired all dry rot, replaced floor joist, and installed exterior windows and doors. All interior window framing and trim were replaced and painted. The vapor barrier and siding was also replaced and repaired. 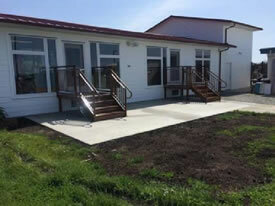 CS power washed the front wood deck, re-stained the front desk, and installed two rear Aluminum powder coated stairs, as well as primed and painted entire exterior of building. 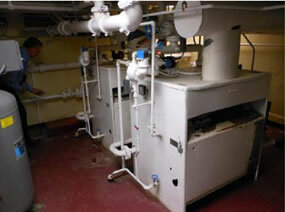 Capers Services demolish existing boilers, venting system, piping, flues and installation. 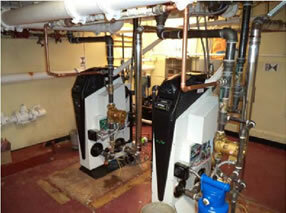 Provide and install new boilers, boiler feed pumps, flues, vents, associated piping, electrical wiring and system controls. Capers Services served as prime contractor of the ground up construction of an access ramp for the U.S. Army Corps of Engineers. 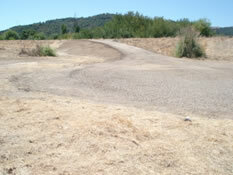 The access ramp ran from the landfill west side levee crown down to the landfill and included hydro seeding for erosion control. Repairs included the perimeter fence and the covers for the damaged GMPs and SGPs. 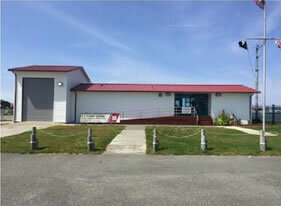 The project required replacement of the damaged posts, the top deck edge fence gate fittings to the GMP-13 area, and the 4" PVC drain pipes mesh, geotextile, and gravel. 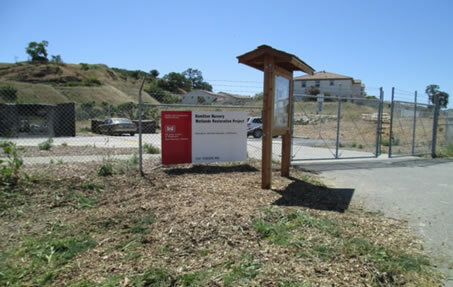 Installation of 10 10ft galvanized poles and 10 reflective signs displaying No Trespassing Authorized Vehicles Only was completed on the Landfill by the Capers team. Work details for the vent trench vertical risers, monitoring wells, pads, and bollards included the removal of old paint then applying a primer and top coat. Capers provided the annual mowing and brush removal for the U.S. Army Corps of Engineers on the cap, buffer zone and around vents, risers, and wells ensuring vegetation was less than 6 inches in height in these areas. 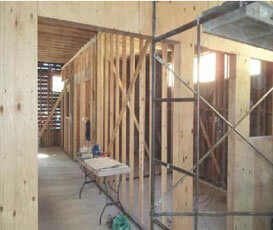 Capers Services coordinated all equipment and materials fulfilling quality control and installation schedule. 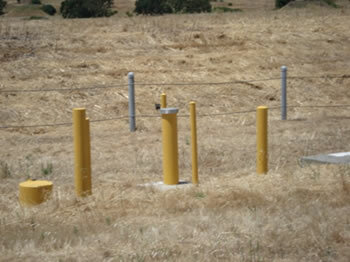 The Hamilton Landfill Area 26 is a 45 acre site that contains many structures that are used for venting and monitoring. Capers provided all resources for the removal of old paint and the application of primer and top coat on the sites vent trench vertical risers, monitoring wells, pads, and bollards. Capers personnel repaired numerous drain screen covers and its geotextile fabric and gravel, marking them with a safety-yellow pole. 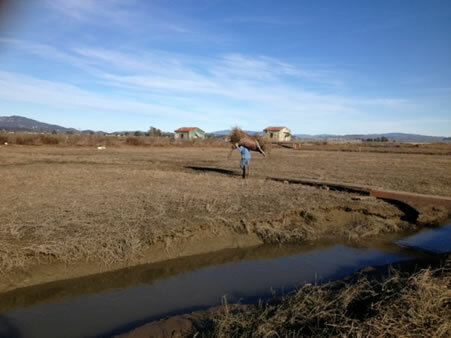 Capers performed the annual mowing and brush removal on the 45 acre site which included the cap deck, buffer zone, around the monitoring wells, trench vents, and treatment plant up to the Hamilton Meadows sound wall. Coordination of all equipment and materials was done by Capers Services and the project was completed successfully and on time. 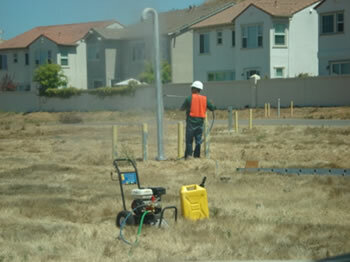 Since we were able to complete this project with a good review from the city of Novato, the U.S. Army Corps of Engineers awarded Capers Services this project again in 2010 with a 5 year option plan. 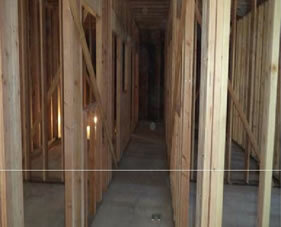 Capers Services excavated, provided and constructed trench and plates at the location known as “Gunsite” Capers Services coordinated all equipment and materials and completed the project successfully and on time. Capers Services served as prime contractor installing a steel closure with tamper proof bolts. 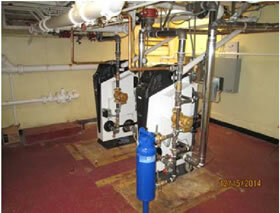 Capers Services coordinated all equipment and materials and completed the project successfully and on time. 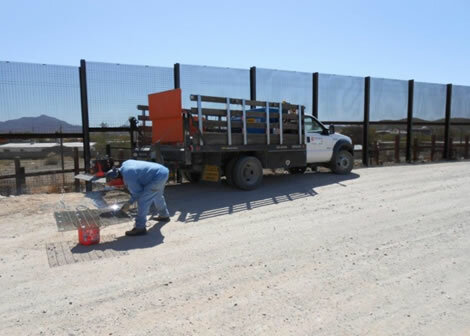 Capers Services provided mission essential maintenance and repair of fencing and gates across the entire area for Tucson Sector. Responded to short notice to perform unexpected repairs, providing adequate manpower, vehicles, tools, fuels, power sources, and all repair items needed to maintain rapid response and repair time. 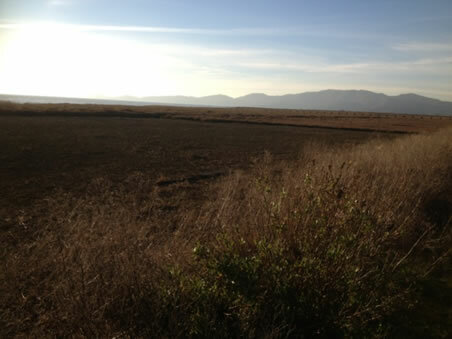 Capers Services removed all marsh Pickle Weed vegetation in the areas of the coastal salt marsh to prepare for future construction. 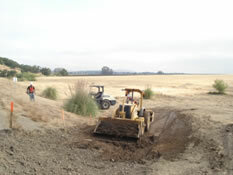 The area was removed by hand to ensure that the endangered salt marsh harvest mouse was excluded from the work area prior to working with heavy equipment in and around the coastal salt marsh. 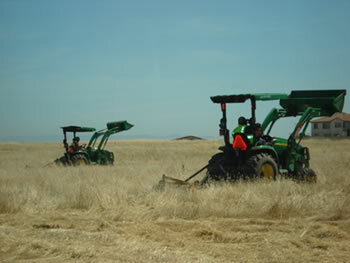 Capers Services provides the necessary native plant material is at the planting site for restoring the former Hamilton Army Airfield to a complex of tidal marsh, seasonal wetland and upland habitats. 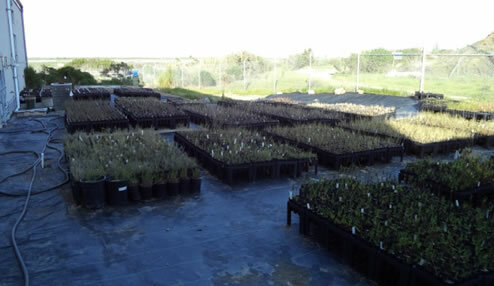 This includes Maintaining records of all nursery operations, monitoring and address any plant pests in as non-toxic a method as possible, keeping invasive species to a minimum and remove any that are found, fertilize and water with salt water as needed to produce stock that is healthy and ready for field out planting, harden off all stock prior to out planting, select and grade stock for out planting that is genetically diverse and yet of a standard size and vigor, adjust irrigation as needed seasonally and maintain all native plant specimens according to Bay-Friendly Landscaping Guidelines. 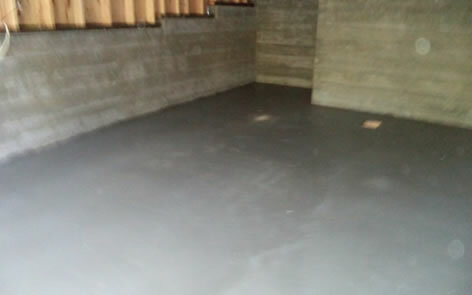 Capers Services installed a new foundation, retaining wall and footing on subject property. 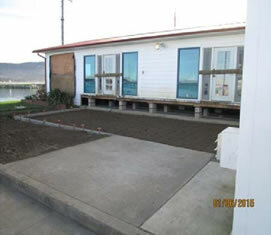 The work included the removal of an existing 12" foundation and replacing it with 6' stem walls and 4' footing. 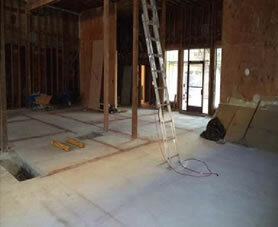 The removal of the old foundation included cribbing up the property with 4"x6" DF and lowering the floor 8'. 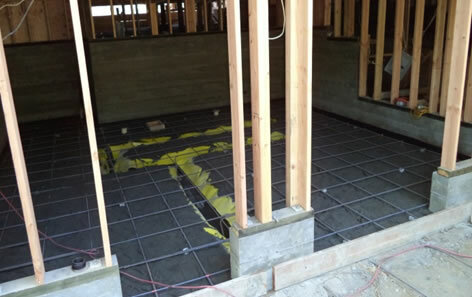 The installation consists of new 8" stem walls, retaining walls, and 4" thick flooring. 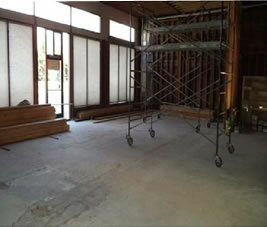 Capers Services demoed existing Plumbing, HVAC system, Electrical wiring/panels, Ceiling, Roof Cap and Interior Walls. Resurfaced Floor, installed new Electrical wiring/panel, Plumbing, HVAC system with Ducting, Ceiling, Roof Cap and Framing Interior Walls. Contract No. : 850 Santa Rosa Ave.